Connor Phillips is a multi-award-winning television and radio presenter, with all the experience and the personality to match. 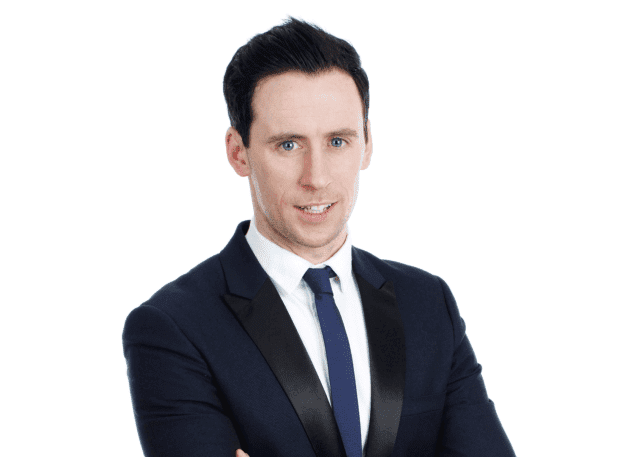 After having worked with MTV, RTE and UTV television, as well as hosting the biggest Breakfast Radio Show in Northern Ireland, Connor decided to move to the UK. Within no time at all, Connor’s career stepped up, and he was offered work with the likes of ITV, BBC, Sky TV. Today, Connor is one of the most recognisable presenters across Britain. You may also recognise Connor’s voice from commercial radio stations like Key 103, Radio Aire, Metro Radio and Radio City. Right now, the voice of Connor Phillips can be heard on BBC Radio in Manchester, Merseyside, Cambridge, Coventry, Warwickshire and Northampton. In addition, he also enjoys slots on all 41 BBC local stations. Described as an upbeat and easy listen, Connor Phillips has developed his own unique presenting style. Thanks to this, he has been adorned with two Radio / TV Presenter of the Year Awards, and has even presented bulletins on some of Britain’s most loved current affairs shows, namely the Tonight Programme and The One Show. As a live event host, Connor has over a decade of experience. He has hosted events big and small; from private company events, to 17,000 people in The MEN Arena, in Manchester. Connor’s style has seen him get work from the likes of Coca-Cola, Easyjet, Adidas, 3 Mobile and Guinness.